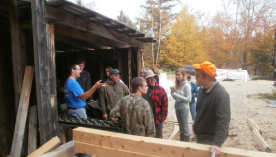 The Vermont Forestry Foundation is the educational and outreach arm of the Vermont Forest Products Association. The Mission of VFF is to educate the people within the forest products industry to improve efficiency, safety, professionalism, to increase profitability and build a positive image for the industry. 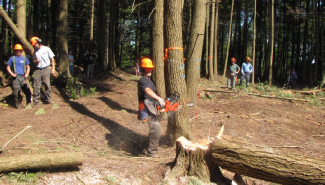 In addition, VFF is engaged in outreach efforts to educate the general public about the importance of a vibrant working forest and forest products industry in Vermont. VFF is a non-profit 501 © (3) organization that accepts grants and donations to meet its mission. Donations are tax exempt. VFF is run by a Board of Trustees that are elected for four year terms at the Annual Meeting of the Vermont Forest Products Association. Please contact the VFF if there are specific courses, workshops or training that will help you in your business. 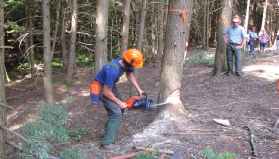 If you would like to make a donation to the Vermont Forestry Foundation click here for a Tax Deductible Donation or Memorial Gift Form.